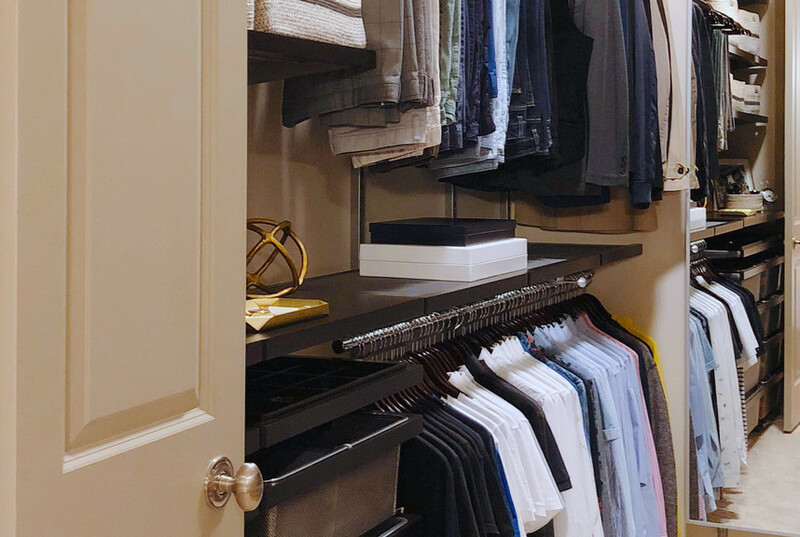 Francois, the men's fashion blogger of Hello Francois, and his husband Ken, recently moved into a new loft space with a walk-in closet that was wanting for a more customized solution than the basic shelves and rods they were given. At the end of the day, an inefficient closet space like this, for a fashion blogger, would not suffice. 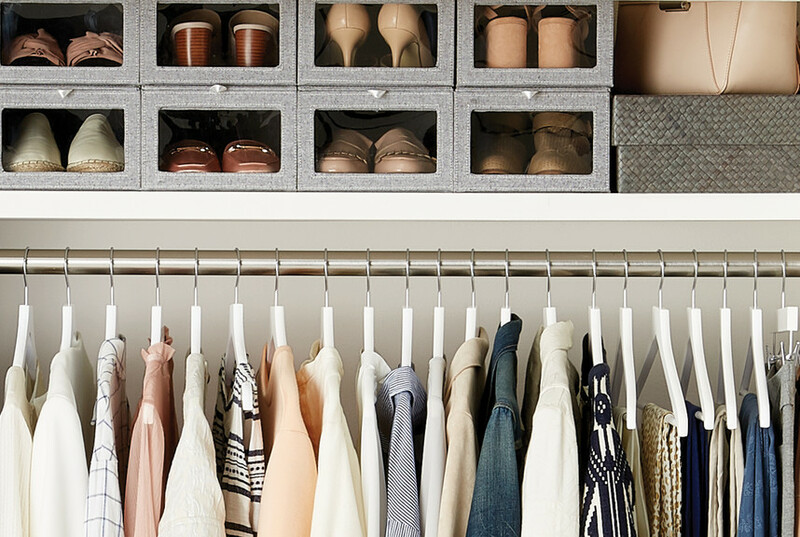 With a little help from our design experts, we were able to help them create a custom elfa solution that accommodates, organizes, and displays their entire wardrobe with ease. After the elfa closet was installed, we sent Francois and Ken to complete the space to their hearts' desire by shopping 25% off all closet essentials during our Closet Sale going on now! 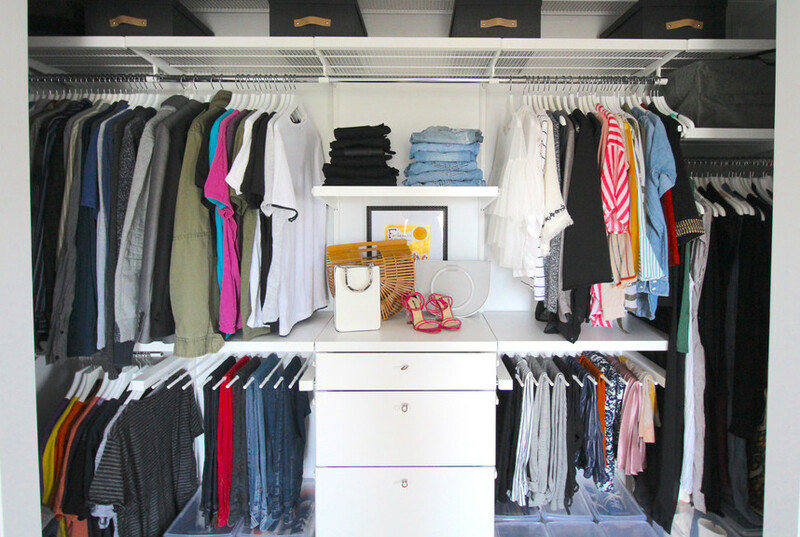 Click below to see the amazing before and after photos, Francois' amazing wardrobe and shop closet organization solutions for yourself. READ FRANCOIS' FULL CLOSET TRANSFORMATION ON HIS BLOG HERE!